An invitation to explore the basements of the UK’s largest and most expensive 20th century public building was too good to turn down. 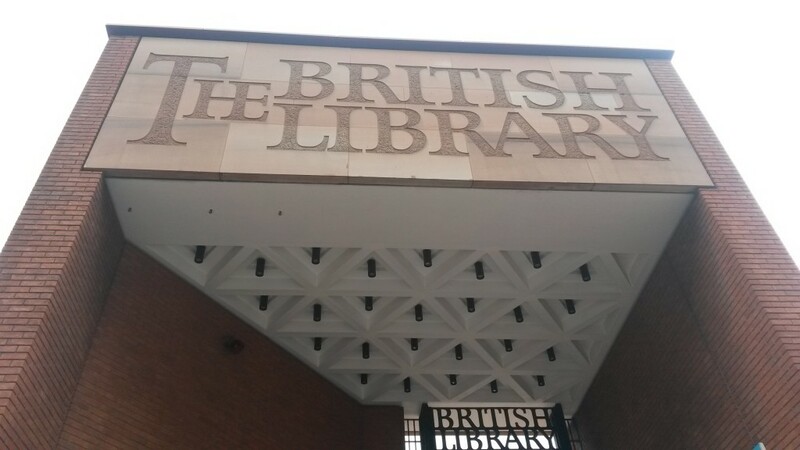 10 million bricks and 180,000 tonnes of concrete were used in the construction of the British Library. Despite its enviable position alongside one of the country’s favourite red-brick structures, St Pancras Station, it is not a pretty building. With 30 years to plan the project, it’s not really clear what architect Sir Colin St John Wilson spent his time doing. The bronze entrance gates have a certain wow factor but it’s downhill aesthetically from there. A huge courtyard presents so much opportunity for landscaping but, sadly, little of the £445 million construction cost was spent on plants. 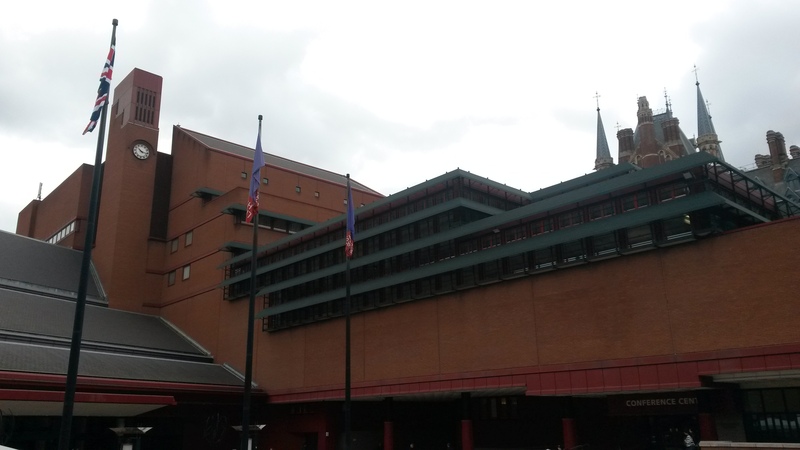 The British Library has a variety of functions. It receives a copy of every publication that is produced in the UK and Ireland. It holds countless treasures including Magna Carta, Leonardo da Vinci’s notebook and the first edition of The Times. The interior, therefore, is principally about functionality. The King’s Library – the personal collection of George III – takes pride of place in the centre of the building in a purpose-built glass tower. Around it, and also in another facility in Boston Spa, are 625km of shelves, which increase in length by 12km every year. This means 150 million items and 3 million new ones annually. There are nine floors above ground and a further five hidden floors below to a depth of around 25m. The lower areas actually spread out beneath the aforementioned uninspiring courtyard across the whole site. I was lucky enough to visit with Mike Weatherley MP, Intellectual Property to the Prime Minister, to see some of the best bits of the library’s famous Sound Archive. Lift 24, after several security checks, took us deep below the busy public areas to a fairly deserted part of the building. Well, it was devoid of humans but not robots. A complicated series of tracks on the high ceilings clicked away as we walked around as part of a highly-mechanised operation to distribute items around the building. The most interesting bits of the Sound Archive for me were the many examples of defunct technology – Victorian wax cylinders, LaserDiscs and DATs. As the greatest library in the world, the collection will never be overshadowed by the building in which it is housed. But that is no excuse for such a drab structure.